Cloudy with occasional rain...mainly this evening. Low 37F. Winds N at 10 to 20 mph. Chance of rain 100%..
Cloudy with occasional rain...mainly this evening. Low 37F. Winds N at 10 to 20 mph. Chance of rain 100%. Lt. Gov.-elect elect Mandela Barnes, left, takes a selfie with Dr. Jasmine Zapata, her daughter Lillyana Zapata and Gov.-elect Tony Evers this week at the Boys & Girls Club of Dane County. Gov.-elect Tony Evers, who has vowed to expand Medicaid and drop Wisconsin from a lawsuit to overturn the Affordable Care Act, could make several changes regarding health care, which voters identified as their top issue in this week’s election. Evers, a Democrat, might face resistance in the Republican-controlled Legislature to fully expanding Medicaid as allowed by the health care law, which Gov. Scott Walker rejected. But including federal money for the expansion in the state budget could make it hard to refuse, health policy experts said. Evers has said he’ll move to withdraw Wisconsin from the multi-state lawsuit against the federal law, known as Obamacare, the day he takes office in January. Observers also expect him to put the brakes on Walker’s plan, approved by President Donald Trump’s administration last week, to require some people on Medicaid to work and pay premiums and co-pays. It’s not clear if the new governor will embrace a more far-reaching goal of some Democrats, to let anyone buy into Medicaid. He’s likely to keep at least one Walker initiative, a reinsurance plan to keep premiums down on the individual market. After eight years of Walker’s opposition to the health care law and his tightening of eligibility for Medicaid, Evers will bring support for both programs, said Donna Friedsam, health policy programs director at UW-Madison’s Population Health Institute. Evers spokesman Sam Lau declined to discuss details of Evers’ health policy plans. Wisconsin is one of 17 states that haven’t taken federal funding to expand Medicaid to people who make up to 133 percent of the poverty level, a move that would have saved the state $1.1 billion from 2014 through 2019, according to the Legislative Fiscal Bureau. Voters in three of those states — Idaho, Nebraska and Utah — approved Medicaid expansion this week. Among the non-expansion states, Wisconsin is the only one with no gap in coverage for residents below the poverty level. Walker and the Legislature limited coverage to people at the poverty line, not below it as some other states do, saying people who make more can get subsidies on the Obamacare marketplace. That shifted about 63,000 adults off Medicaid while allowing about 130,000 childless adults onto the program, with the state paying its regular 40 percent share for them. Evers is expected to factor more than $200 million in federal money for Medicaid expansion into his biennial budget, said Jon Peacock, research director for Kids Forward. The expansion, which likely couldn’t take effect until 2020, would extend coverage to about 80,000 more adults. “It will be a hard thing for legislators to reverse, to fill the hole that would create in the budget bill,” Peacock said. However, legislative leaders may not be on board. “Medicaid expansion is not on the list of priorities for the Assembly,” said Kit Beyer, spokeswoman for Speaker Robin Vos. Evers and Josh Kaul, who declared victory in the state Attorney General race, said they’ll promptly remove Wisconsin from the lawsuit by 20 states seeking to declare the Affordable Care Act unconstitutional. The case was argued before a federal judge in Texas in September, but no ruling has been issued. Peacock said “there’s a very significant chance the case will be decided,” likely with a ruling to strike down much or all of the law, before Evers and Kaul take office. That raises the question of whether Wisconsin would “take a more activist posture” and join some 17 other states seeking to intervene and defend the law, including during appeals, Friedsam said. In addition, Evers could take more steps than Walker might have to shore up protections for people with pre-existing conditions and keep the marketplace viable in the state if the lawsuit is successful, Friedsam said. Evers likely won’t implement the Medicaid work requirement recently approved for childless adults, or the related premiums or co-pays, Friedsam and Peacock said. But they said he might continue other elements of Walker’s plan, such as extending coverage of residential treatment for substance abuse to anyone on Medicaid. Evers isn’t bound by the Medicaid changes proposed by Walker and approved by the Trump administration, said Robin Rudowitz, a Medicaid expert at the Kaiser Family Foundation. 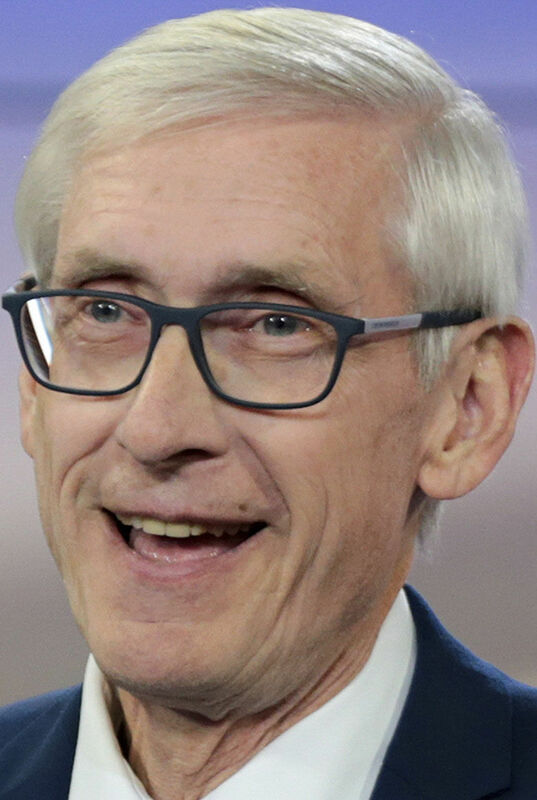 Robert Kraig, executive director of Citizen Action of Wisconsin, said Evers’ victory bodes well for a proposed BadgerCare public option, which would allow anyone to buy into Medicaid, typically at cheaper rates than private insurance. But Evers didn’t commit to the idea during the campaign. He said only that he’d try to do it by the end of his first term but may not include it in his initial budget. The concept is similar to the national proposal of Medicare for All, but a key difference is that Medicaid payments to doctors and hospitals are lower than Medicare payments, Friedsam said. “I think it will be a very difficult sell,” she said. Friedsam said Evers likely will continue Walker’s reinsurance program, which had bipartisan support and has curbed premium increases on the marketplace. The new governor could restrict the availability of short-term insurance plans and association health plans, which have been expanded by the Trump administration, Friedsam said. Neither of the alternative options has to cover “essential benefits,” such as maternity care, mental health and prescription drugs. Short-term plans also don’t have to cover pre-existing conditions.